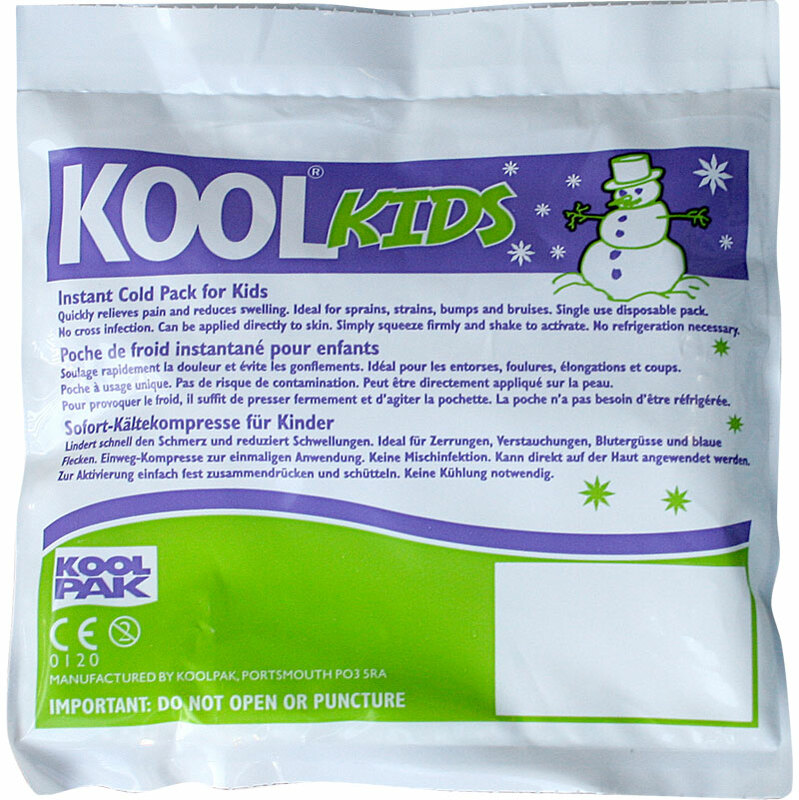 The Koolpak ® Koolkids Instant Ice Pack Sachets are ideal for treating soft tissue injuries on children, making them an ideal part of any schools, sports clubs or youth groups first aid kit. Compact size ideal for adding to an existing first aid kit. Also ideal for soothing headaches and migraines. Simple squeeze and shake activation. Packs become ice cold within seconds. Size: 15 x 16cm - 120g per pack.